Walk Wisconsin returns to Stevens Point for its 15th year. 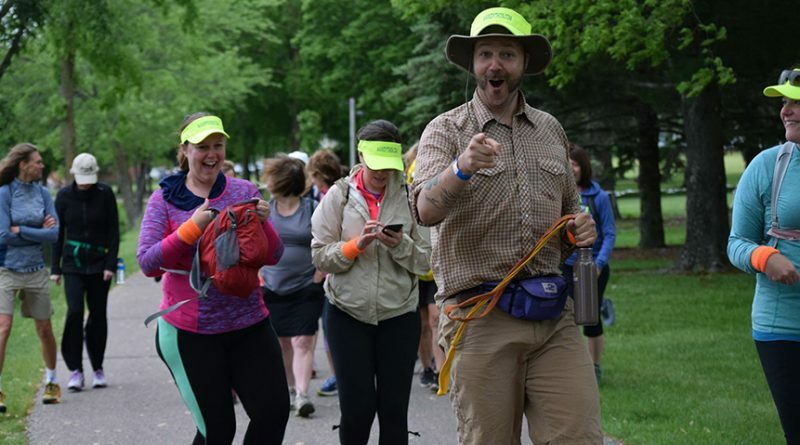 Billed as the Midwest’s “premier walking event” by the Stevens Point Area Convention & Visitors Bureau, the event is available to walkers to all skill levels. Participants can choose from three marathon events on June 1, including a full marathon length at 26.2 miles, half marathon at 13.1 miles, or the 6.5-mile quarter marathon. A special kids event will be held on Friday, May 31, with 1.3 or 2.6-mile distances offered. All the routes will travel along the Green Circle Trail. New this year, according to Melissa Sabel from the SPACVB, is the inclusion of the newest section of the Green Circle Trail in the Village of Whiting. The new segment is scheduled to open on April 20, during the “What’s New Walk”, and will take walkers through the woods and with scenic vistas of the Wisconsin River for 1.2 miles. The non-competitive walking event started as a way to create a healthier Portage County, Sabel said. “Wellness-minded individuals from the community and numerous other sponsors believe that in training for a distance walk, participants will see a positive change to their lives,” she said. Participants receive a commemorative dry blend t-shirt, sports sack, comfort and nutrition stops along the route, and a finish line celebration and medallion. While the event is held on the Green Circle Trail, most of the event festivities take place at Pfiffner Pioneer Park, 1100 Crosby Ave. Check-in will be held 4-8 p.m. on Friday, and Saturday morning beginning at 6:30 a.m. The walk begins and ends at the Pfiffner Bandshell. Training schedules and registration forms are available on the Walk Wisconsin page at ActivePortageCounty.com.